The other It's a Mom Thing Review's ladies and myself are a little bit s'mores obsessed. We often show each other new s'mores items on the market, rave about different s'mores desserts, and talk about our love of the delicious treat! 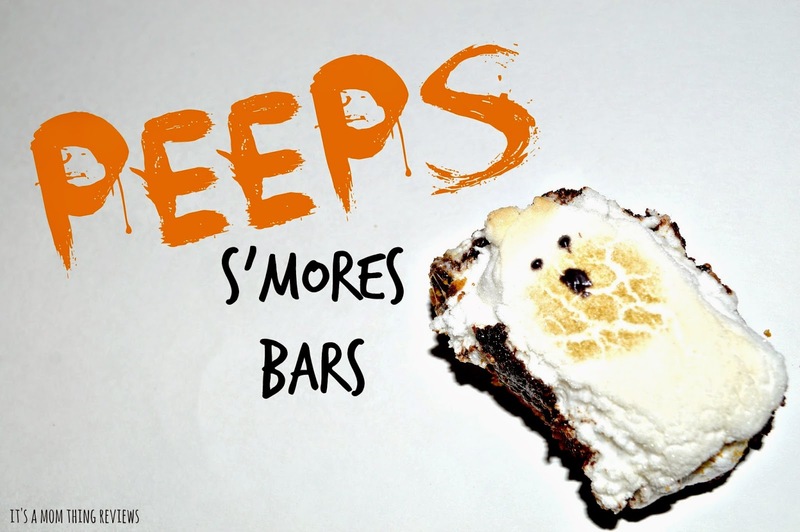 When I received some items from PEEPS & Company to celebrate Halloween I immediately thought "S'MORES!" I just needed to find the perfect and unique way to make them! After a first failed attempt I found the perfect recipe and cannot wait to share it with you! 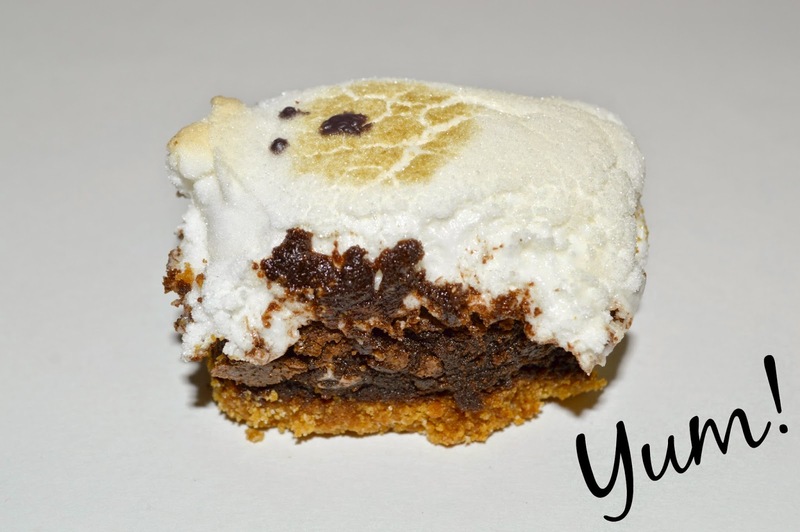 The first part of making these tasty PEEPS S'mores Bars is making the graham cracker crust! I used the recipe found on the side of the Nabisco Graham cracker crumbs box, which is 1 1/4 cup graham cracker crumbs, 1/4 cup sugar, and 5 tablespoons of melted butter. All that you have to do is combine the three ingredients until they are crumbly then layer them in a baking pan. Super simple! The next step is making a brownie batter. You can use boxed batter or homemade, but I recommend making enough to fit an 8x8 or 9x9 baking pan. The recipe that I used is below! It made the perfect amount and was a great recipe because the brownie center came out nice and fudgy! Combine the flour, cocoa powder, salt, and baking powder together. Next cream the butter and sugar together, then add each egg. Add the dry ingredients into the creamed mixture. Lastly add the vanilla. Mix well. Once your batter is blended you put it on top of the graham cracker crust and bake in the oven at 350 degrees for 30 minutes. It may take a different amount of time if you use a different batter for the brownies since they may be more cakey or more fudgey. Once the brownies are done pull them out of the oven and set your oven to broil. Take PEEPS ghosts and put them on top of the brownie layer. Put the tray back in the oven and broil until the ghosts are slightly golden brown. Unfortunately when you brown the peeps their little eyes and mouth melt. In order to make them look like ghosts again I used black Wilton brand candy melts, melted them for a little bit, and used a toothpick to make the eyes and mouth on each ghost. Ta-da your PEEPS S'mores Bars are done!